We’re wearing many hats at storytime this week! This week our full storytime schedule returns starting Monday, January 8th, 2018. Check the calendar for the dates and times of storytimes at your local branch library. 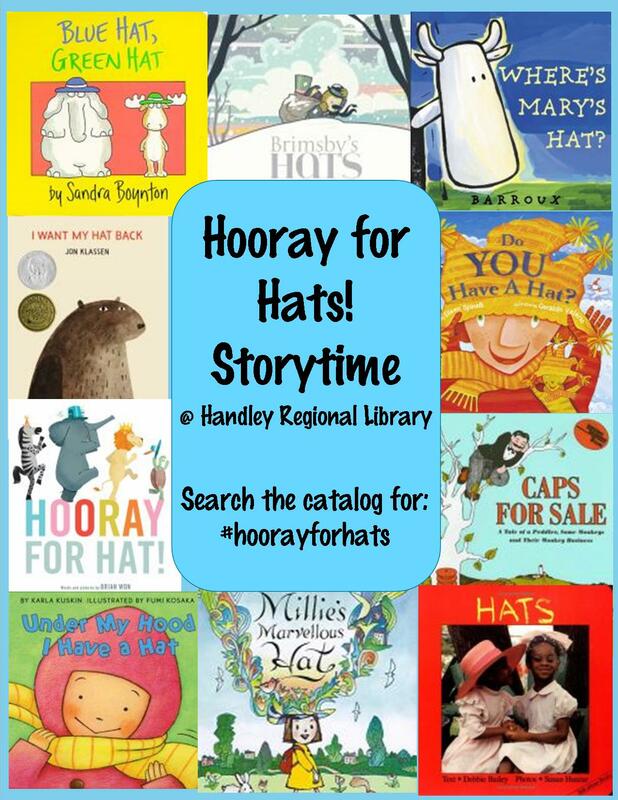 Join us for a week-long celebration of all things hats at storytime. 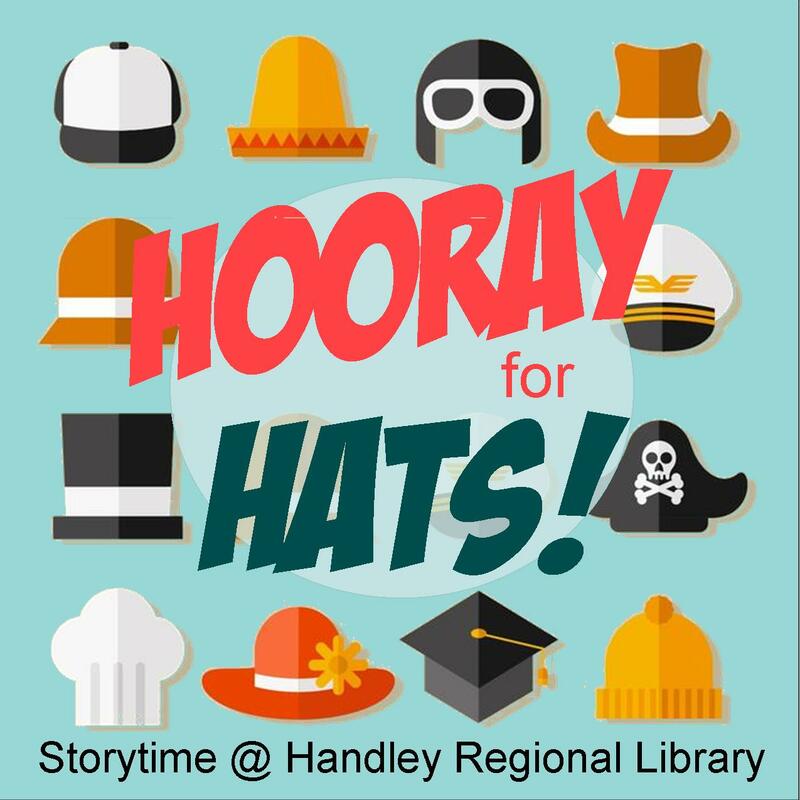 You might want to wear a hat or two yourself, so bring your favorite ones with you to storytime! As fires run their course. And a smile upon her face. Mary wore her red hat, red hat, red hat. We hope you can join us for storytime at one of our Handley Regional Library Branches this week!